I’ll say this again…even though I think being a law enforcement officer of any kind has got to be the most frustrating job on earth, the point is you’re a public servant so if you can’t deal with the shitheads as cordially as you can deal with the people you could see yourself hanging out with, then it’s probably time for a new line of work. Thoughts? Will this woman lose her badge, or will the incident get swept under the rug? LOL burn. That’s exactly what I like to see. As I always say on the blog… if you can’t handle the laws in the state / country / etc.. that you live in, then move. That especially goes for those PAID to enforce them. 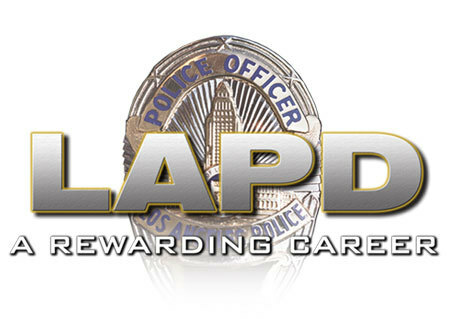 I am pro Law Enforcement, but the fact is there is only one version of the law they are paid to enforce… so if you are a LEO and you have your own agenda, and that includes trying to trick people into waiving their rights, then please do everyone a favor and find a new career. So now what? The officer in the video violated 4 different laws according to the person taking the video. Will anything happen? Should anything happen? The UK is such an easy target for gun control jokes. 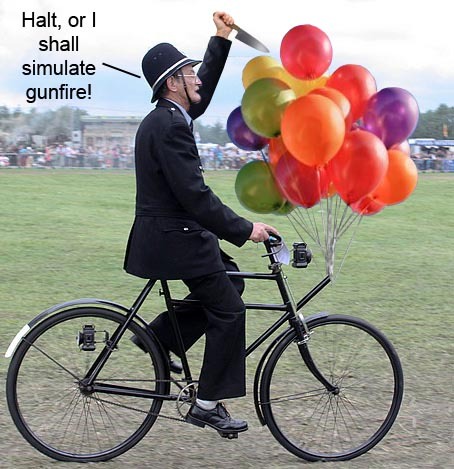 His balloon cluster looks dangerously close to being classified as “high capacity” … I hope he counted correctly. 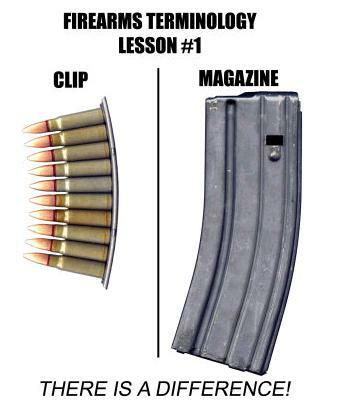 Clip, magazine? ugh… Get it straight. Left on the plane by a Federal law enforcement officer hey? Right… I suppose that could have happened, but what also could have happened is that the air tight security they think they have actually has some flaws, which they would never admit. Terrible thing to have happen. 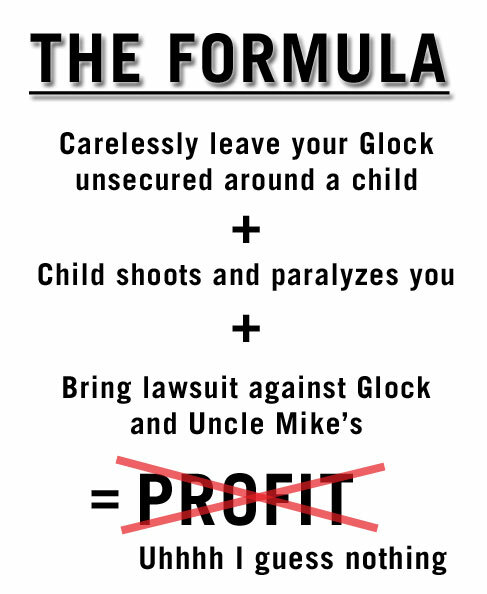 I’m sure he thought he’d win the lawsuit… but I’m glad he didn’t, that would have set a terrible precedent that would only further inconvience responsible gun owners like the rest of us. 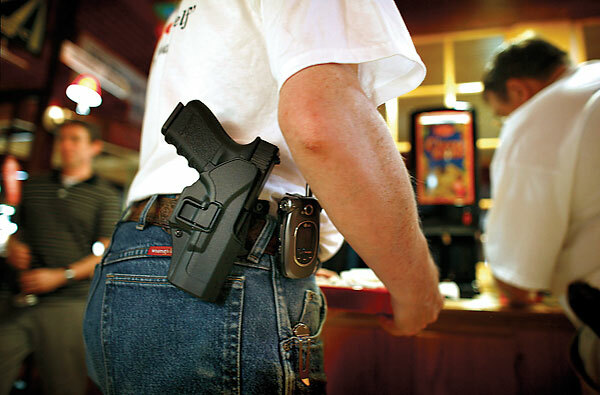 Last thing I want is more safeties and warnings all over my guns. Just goes to show how you need to keep your guns secured around kids because things could go bad in a split second. 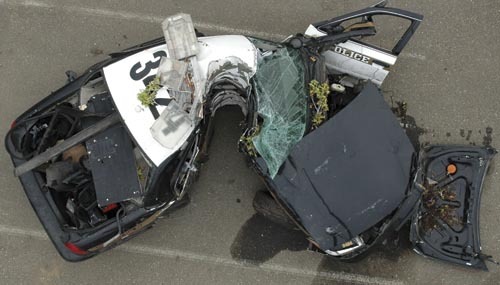 Santa Maria, CA – Officer Damon Badenell, who is in his early 30s, was responding as backup to the pursuit of a burglary suspect, Flores said. The patrol car struck the center median and two trees, Flores said, adding that he had no information on how fast Badenell was traveling at the time of the single-vehicle crash. Badenell, who suffered several broken bones and non-life-threatening injuries, was expected to remain in the hospital for about a week, Flores said. Wow, I find it hard to believe he was able to walk away from that with some broken bones. I wonder how fast he was going?